Are you considering garage door maintenance in Burnaby, British Columbia? That would be a good decision to make. An even better decision would be calling us for the service. We send to you great technicians that will do a superb job. These pros are very detail-oriented. They know how to troubleshoot garage doors. You will find these techs to be helpful, friendly, and professional. Expect to receive quality results fast. The cost of the service will be quite nice as well. Make the right choice. 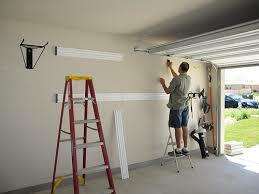 Choose Burnaby Garage Door Repair to arrange your maintenance service. Why should you choose us to arrange garage door maintenance service in Burnaby? You should choose us because we know a lot of good techs. We hire qualified experts. These technicians display all the qualifications we expect. They follow a thorough checklist which covers every inch of your garage doors. They will check the springs, openers, and tracks. In addition, they will inspect your cables, rollers, and safety release. If a part requires lubrication, they will do it. If you need a garage door adjustment, they will provide that too. These pros are very good at maintenance. Let us send you a trained tech today. Did you know that preventive garage door maintenance can save you cash? This is true. Quality maintenance service catches many problems before they occur. It will improve efficiency and extend the life of many different parts. Each part is manufactured to last a certain amount of cycles. A cycle occurs every time your door is opened and closed. A good maintenance process can enhance the cycling potential. The pros we enlist use reliable garage door troubleshooting skills. They will detect any problem in a hurry. We would love to send one of these techs to you today. You might think it costs a fortune to get maintenance service. This is not the case. The price is actually pretty reasonable. You can prevent costly repairs down the road. Take care of your doors today and they’ll take care of you tomorrow. Pick up the phone and place that call. Let us arrange your Burnaby garage door maintenance service.